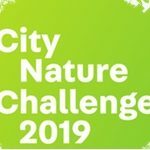 Greater Manchester will be one of over 150 cities worldwide competing to find urban wildlife. 2019 is set to be the biggest year yet and we’ll be competing with cities like Rome, San Francisco, Lima, Hong Kong, and… the one to beat…… Liverpool. Taking part is really easy. Sign up to use iNaturalist on your phone or computer, and add photos of your wildlife sightings. We want to hear about any wildlife you can find. That could be the ladybirds living on your balcony, the birds in the local park or the mushrooms you’ve seen on a walk in the countryside.